I've come to realize in my 8 months on this planet that it ain't easy being a pug. I think of all the work I do day to day....and sometimes it's exhausting. First off, I always put a smile on mom or dad's face. Next, I always am cute (and trust me I don't wake up this adorable). I have to eat (this must be accomplished upon first waking, after going potty outside or after breathing). Then there is play time, but that's just fun (hi Spencer! I missed you tonight - darn rain). Then there is the kisses I must dish out. Those are never ending, and frankly, I'm really good at it so the demand is high. Oh and let's not forget my orbs. Sometimes I have to just sit there and penetrate dad's rough exterior with my alluring orbs. I always win in the long run (don't worry dad mom will never know you sneak me those extra treats...shhhh it's our secret). So when I sit back and think of all the things us pugs do in the world, it causes me to lay down on the sofa with some "America's Next Top Model" (I think Raina might win....paws crossed), and just vegetate. Well, until mom so rudely snaps this picture of me for my blog! 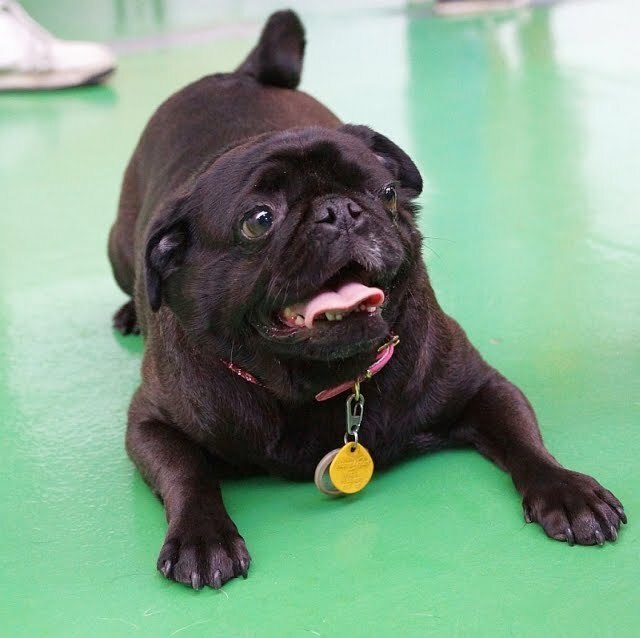 What's a pug to do? Oh Bella! You are so flipping cutes!!! That's what we are always telling the 'rents! It's extremely hards to be a puggie!!! We totally hear yous. Last times we wents to the parks with Mommy and Daddy all these little snot nosed kids gotta be alls ups in are 'buz petting us giving us 'dem germs (hee hee). Then there's the tailing pulling! They thinks it's funny to pull on our cute curly tails!!! WTF??? (Sorry) Anyways, We understands!!! Just keeps using 'dem orbs of yours to collect all your treats and prizes!!! Hiya Gang! I totally hear you with them kids! They love me, because well who doesn't love us pugs...anyways...they all want kisses and hugs. At least they don't pull my tail, mom would so yell at them (mom doesn't like kids). Yuck and kid germ are the worst! They are sooo dirty, the poo poo potties in their pants! Blahck! 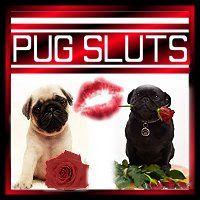 Keep up the good works fellow puggies! We should totally have a secret hand shake....right Anakin? Pullin tails? Nooooo wayys. Mom's is so protective of me she keeps me aways from the gnomes of this world. It is hard being a pug. 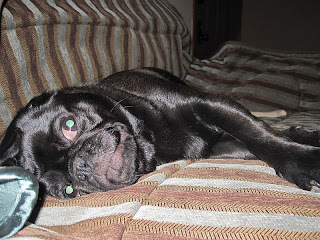 Especially the only pug in a household of 5 cat brothers & sisters....ya think Izzy & Anakin are rough Josie? Try 5 felines! Belly, wanna move in together???? Hee hees.. Hey do you have a bloggy Spence??? Anakin I like your style. I told Spencer's mom that she should help Spencer with his blog. I know Spencer has a lot on his mind. Bella, Tell me about it. Noone believes how much it takes out of us to be this cute. You just chilax and take it easy.Anyone has a problem with that, you can send 'em to me. For you and those Elgins. The other day when I came to your blog afterwards your site kept popping up like a million times. The same thing happened just now at Josie, Izzy and Anakins. Wondering if anyone else experienced this or does Mom have to figure out if there is one of those freakin' viruses on the computer. Hmm...Wilma I've gone to the Elgin gangs blogs and nothing has popped up on mine. Ut Oh maybe your mom has a virus..that doesn't sound good! Argggh.It better not affect my ability to communicate with you all at my will!